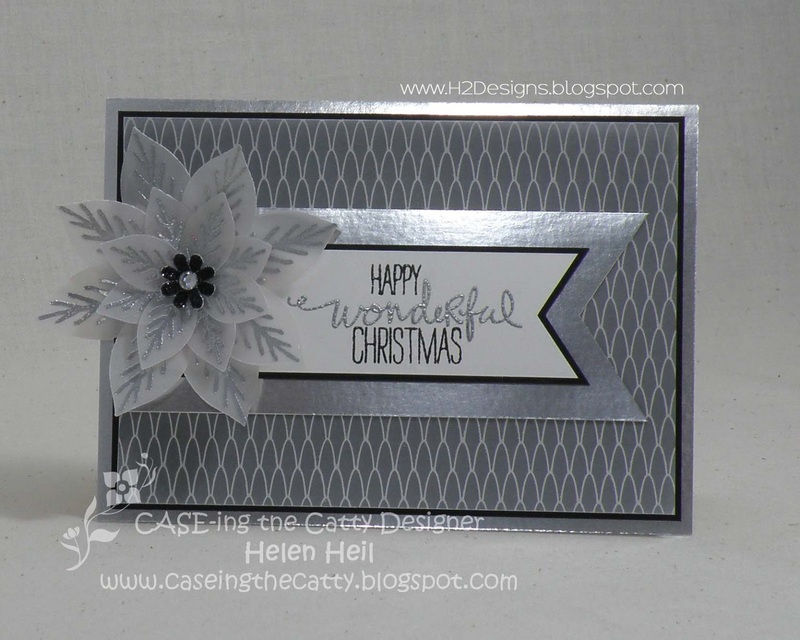 H2 Designs: CASE-ing the Catty #60 - CASE-ing Judy May! CASE-ing the Catty #60 - CASE-ing Judy May! Welcome! It is our final hop for CASE-ing the Catty for 2015, so to celebrate a wonderful year, we are CASE-ing a fellow team member. I am excited to be CASE-ing one of Judy May's beautiful designs. 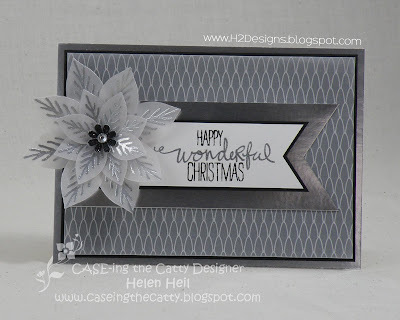 I was inspired by this fabulous card & you find all the details in Judy's post here. I loved the layout of Judy's card & the clever use of the Festive Flower punch, where Judy omitted the largest petals to make a bloom which is the perfect size for a standard card. The two-toned sentiment was another design feature that really appealed to me, but unfortunately, I didn't have a small enough sentiment that worked, so I substituted a sentiment panel for the gorgeous vanilla ribbon in the original design, rotating the layout 90 degrees to suit. I used basic black cardstock, silver foil & a Winter Wonderland vellum print (used reverse side up) to recreate all the lovely layers. 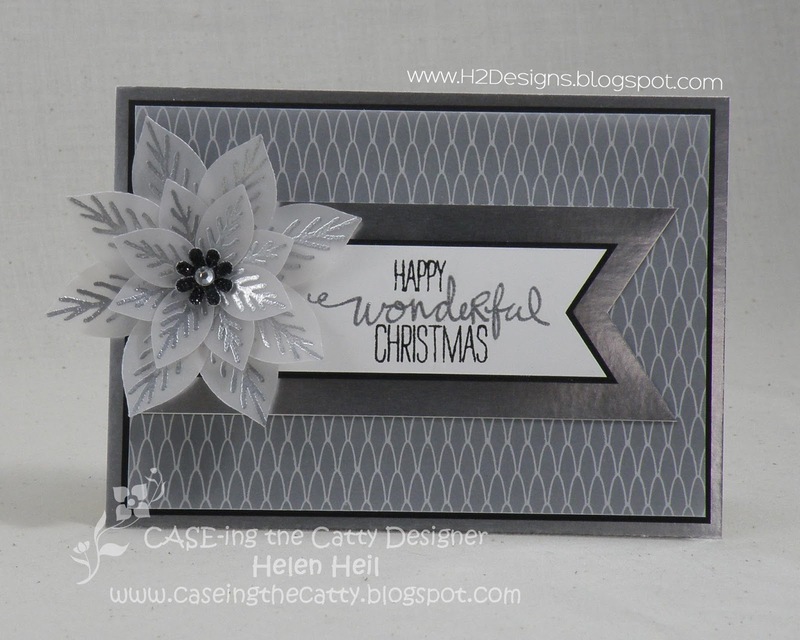 The poinsettia is created from silver embossed vellum with a black glimmer centre, finished off with a rhinestone. Next on the hop is Judy, who will be CASE-ing Rachel. :) You can find Judy's post by clicking on the "next" arrow below. Thanks for stopping by, hope you have a wonderful Christmas & New Year! See you again in 2016!